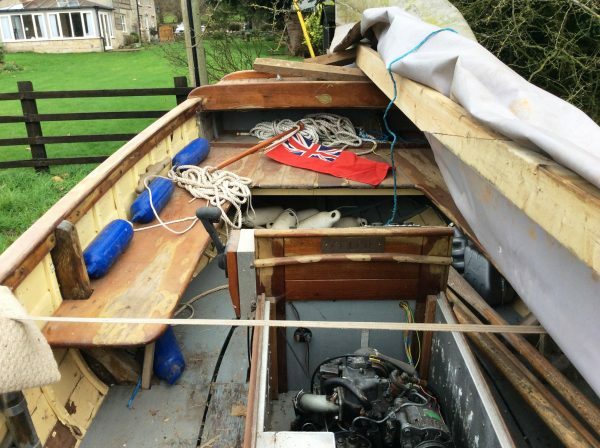 KELPIE was built by the well respected Salcombe boat builder Edgar Cove in 1959, originally fitted with a Stuart Turner petrol engine with copper exhaust, supplied by Coves in 1959 and verified by their records. Edgar Cove has an excellent reputation for quality and workmanship, building a wealth of fine dinghies, launches and small yachts in a traditional manner to their own designs. KELPIE was bought by the present owner from the Barmouth area where she had lain unused for a number of years. He set about a full restoration over a long period of time, with no expense spared. 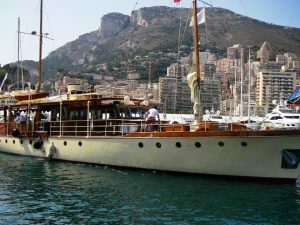 KELPIE is of mahogany planked, lapstrake construction all copper nail and rove fastened on oak timbers with teak fore and aft decks and fitted with a 10 hp Yanmar with raw water cooled exhaust system. She has a straight plumb stem, transom stern, attractive sheer, long keel and round bilges. 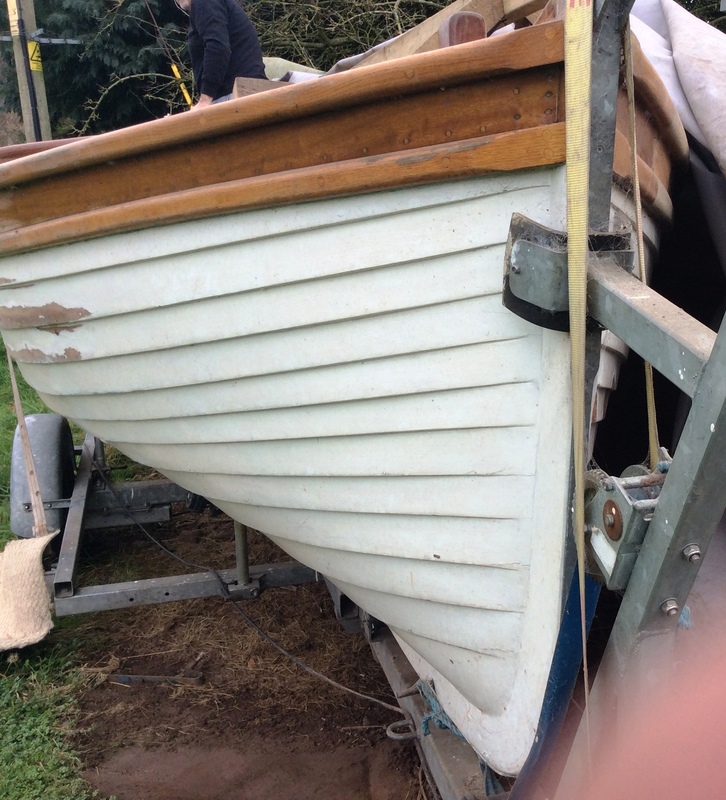 Transom hung rudder, tiller steering. Stern seating and quarter benches port and starboard, forward thwart and locker under the foredeck. 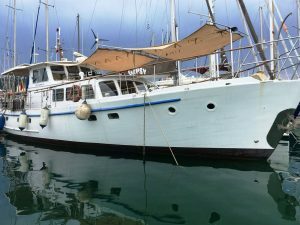 Generous beam and full bilges give stability and load carrying capacity. The distinct run aft makes for an easily driven hull under power. 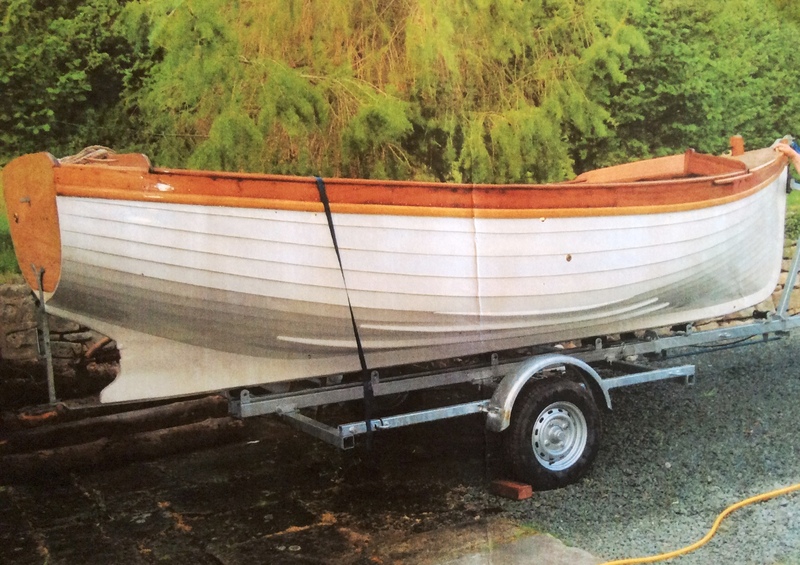 Many of Edgar’s launches of this design were fitted with centre boards and carried a useful lug rig. 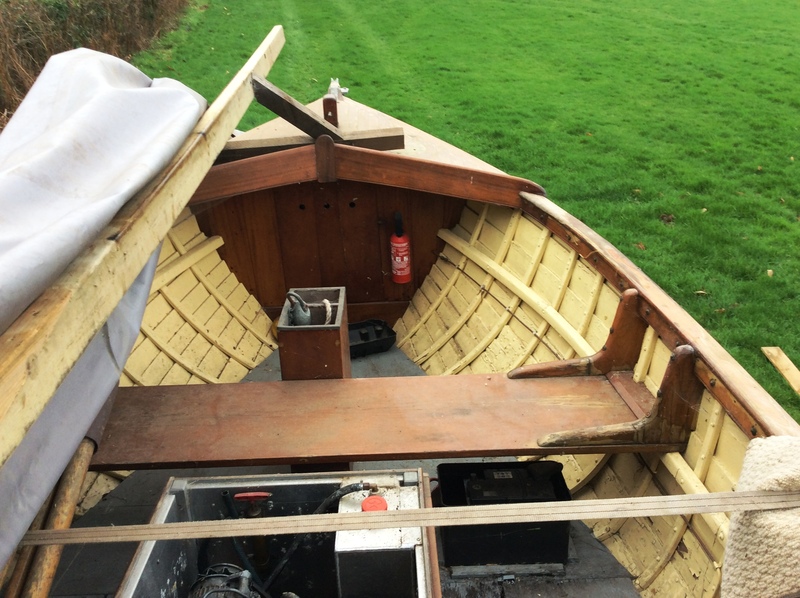 During the restoration, KELPIE was fitted with new fore and aft decks and supports, thwart supports and knees, all new coamings, two new gunwale planks, new engine compartment and control column. The engine compartment is fully soundproofed, new anchor stowage, all new ironwork including keel and rudder fittings all galvanised, new rudder and tiller, four steamed timbers, bilge keels, sole bearer supports and sole. There are no split planks but 2 or 3 fractured timbers require doubling or laminated section repairs. Due to the owner’s health KELPIE now requires re-finished inside and out. Fully galvanised and braked ROAD TRAILER with no more than a 100 miles use. 9ph Yanmar 1GM10 diesel engine runs perfectly well. 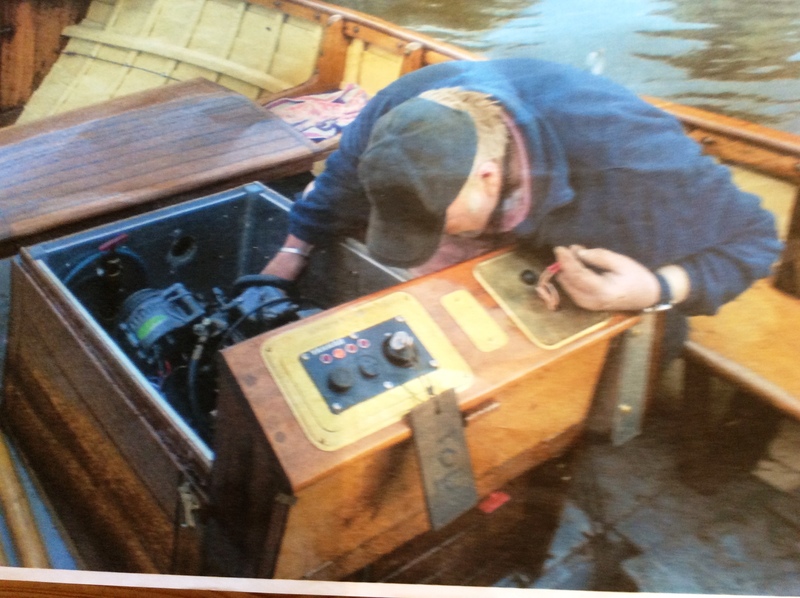 Fire extinguisher, anchor and chain, pair of oars, boat hook, several warps, auto bilge pump, 8 fenders, fog horn, 2 new self-inflating life jackets. A fine traditional launch from this much sought-after Devon boat builder. 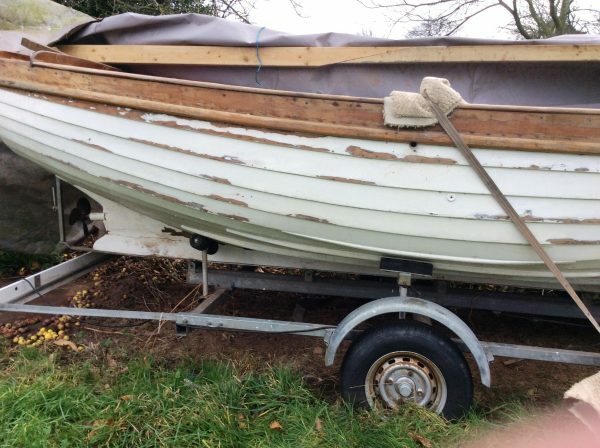 KELPIE is now in need of a cosmetic refit after being laid-up undercover at the owners home. Previously used on the upper reaches of the non-tidal River Severn. 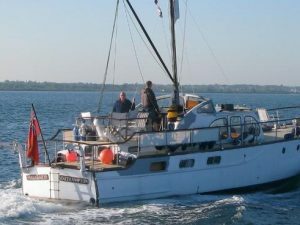 An ideal launch for family outings, picnics, fishing trips, camping holidays and suitable for river, estuary and coastal use in good weather.